They’ve survived the centuries as unparalleled compositions, but there’s more than meets the eye when it comes to these famous works of art. 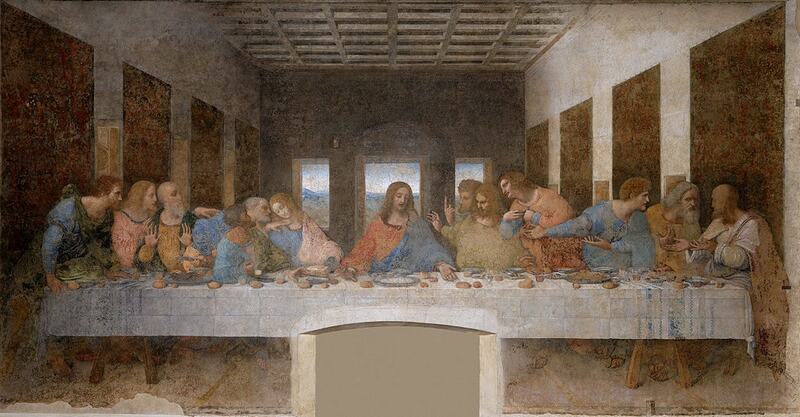 Completed around 1498, The Last Supper has played host to numerous theories of meaning and prophecy through the years. In 2007, Italian musician and technician Giovanni Maria Pala discovered that from right to left, the positioning of the Apostles’ hands with the loaves of bread scattered before them encodes a 40-second musical requiem—perhaps a foreshadowing of Christ’s impending doom. More recently, da Vinci expert Mario Taddei pointed out that none of the subjects have halos, suggesting that the artist’s ultimate secret has been hidden in plain sight all along: did Leonardo da Vinci believe that Jesus was an ordinary man? Far more than a pretty picture or a paradigm of post-impressionism, The Starry Night (1889) is special—but not in the way you think it is. In the early 2000s, a group of physicists discovered an uncanny correlation between van Gogh’s ebbing mental state and his curious depiction of natural turbulence with “mathematic precision.” The scientists pinned his technique down to luminance, “a measure of the relative brightness between different points,” according to NPR. 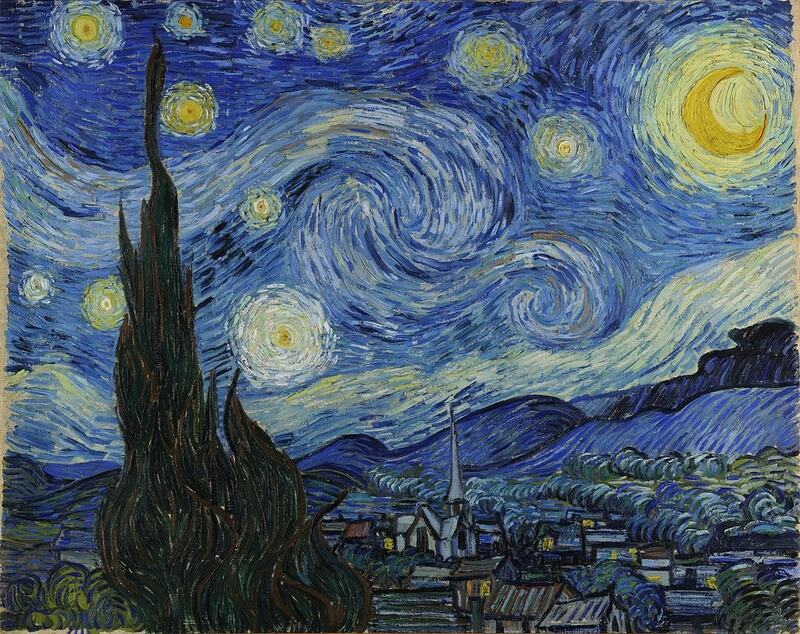 But how van Gogh tapped into a complex natural phenomenon he was—at least, consciously—unaware of remains inexplicable. 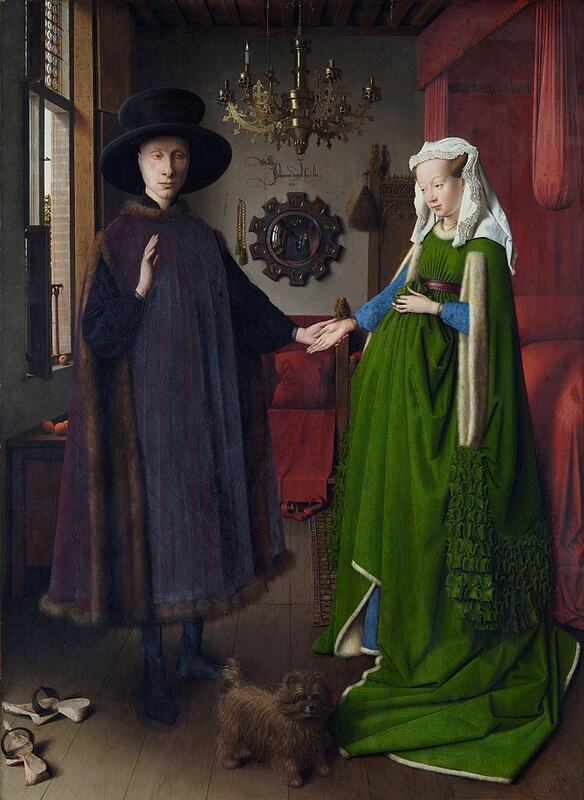 A centerpiece of Northern Renaissance art, van Eyck’s luminous portrait famously depicts the well-to-do Giovanni di Nicolao Arnolfini with his wife (who is not pregnant, as viewers often perceive). Van Eyck’s masterly composition renders the folds of Mrs. Arnolfini’s dress, and the shimmer of the brass chandelier behind them so captivating that it’s easy to miss an important detail: on the far wall behind the couple is a mirror, above which the artist signed, in Latin, “Jan van Eyck was here in 1434.” While it may require bionic vision to discern, the couple is not alone; two additional figures are reflected in the mirror, one of whom, as his tag suggests, was likely the artist. 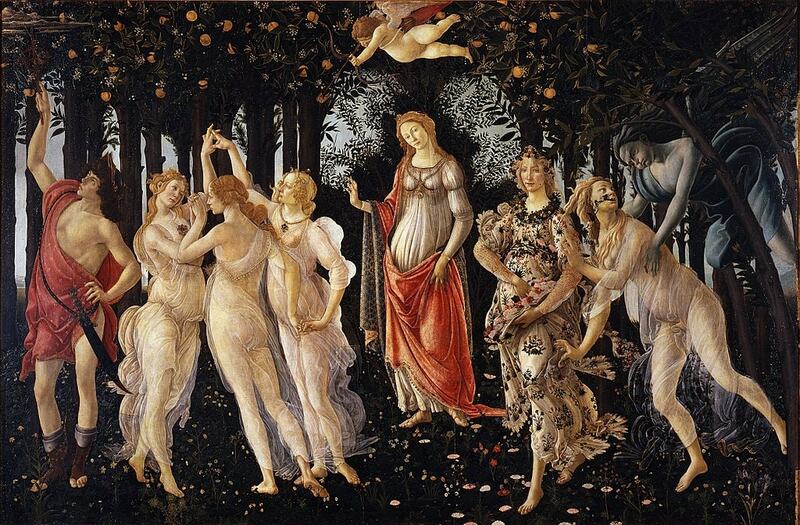 Botticelli’s exalted representation of springtime has become a keystone of Italian Renaissance art. Painted sometime between 1477 and 1482, Primavera portrays far more than fair maidens and mythological deities; horticulturists have also identified no less than 500 real plant species present in the pastoral backdrop. As if that’s not enough, the painting has also been thought to conceal symbolic clues to a plot against the reigning Medici family (whom Primavera was created for). According to the Telegraph, Botticelli was a supposed follower of one radical preacher who was later burned at the stake. When American portrait artist John Singer Sargent painted the well-known socialite Virginie Amélie Avegno Gautreau, he portrayed her donning a form-fitting black gown with jeweled straps—one of which had fallen, seductively, down her shoulder. Well, this wound up destroying his local reputation; when the painting was revealed at the 1884 Paris Salon, viewers were incensed by its filthy sexuality. 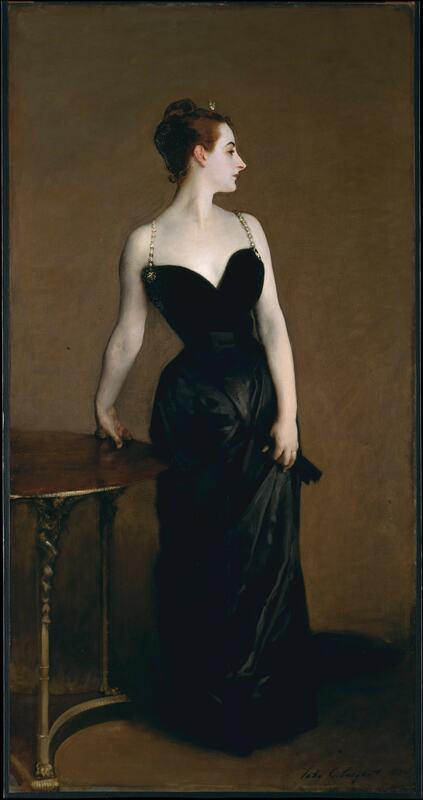 The artist quickly edited the strap to sit securely on her shoulder, re-titled the piece Madame X to protect his model’s identity, and fled Paris in utter shame. The painting is now a highlight of The Met’s American Wing. Where to begin with da Vinci’s magnum opus, the ultra-secretive gift that keeps on giving? The subject of countless unanswered questions, unproven hypotheses, and ongoing mystery, The Mona Lisa was once questioned to be the artist’s self portrait in drag, though she is now identified as Lisa Gherardini, the wife of merchant Francesco del Giocondo. In 2010, Italian researcher Silvano Vinceti discovered the letter “S,” possibly for the prominent Sforza family, in her left eye, and the artist’s initials, “LV,” in her right; as well as the number 72, a powerful number in Jewish mysticism, beneath the arched bridge behind her. Subsequently, French scientist Pascal Cotte uncovered a hidden portrait of another unknown woman beneath the painting’s surface. In da Vinci’s portrait The Lady with an Ermine, Cecilia Gallerani, the mistress of his patron the Duke of Milan is, of course, famously holding an ermine. 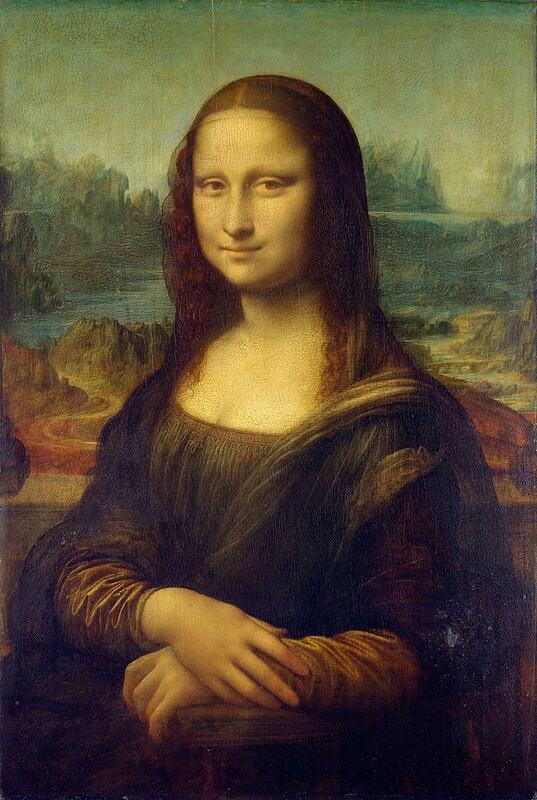 But Pascal Cotte, the same scientist who worked on The Mona Lisa, discovered that the finished painting we’re familiar with today was reworked twice before the artist deemed it complete. 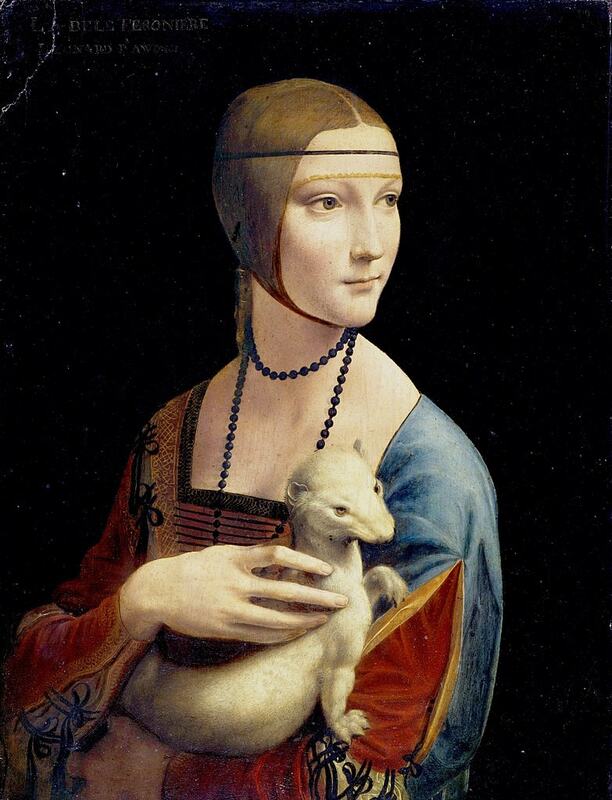 It seems the lady was originally without an ermine before da Vinci painted one in and repositioned her hand to embrace the animal, which was added to allude to the Duke of Milan, who was nicknamed the “White Ermine.” Cotte’s discoveries reveal da Vinci’s tendency to revise his work. Hans Holbein the Younger’s stately portrait of Jean de Dinteville, the French ambassador to England (left) and Georges de Selve (right), the bishop of Lavaur and stand-in ambassador to the Emperor, the Venetian Republic and the Holy See, portrays two powerful young men in their prime—aged 29 and 25, respectively. They stand poised and well dressed in front of a rich green curtain, separated by a table of books, scientific objects, and instruments—all symbols of their education and enlightenment. 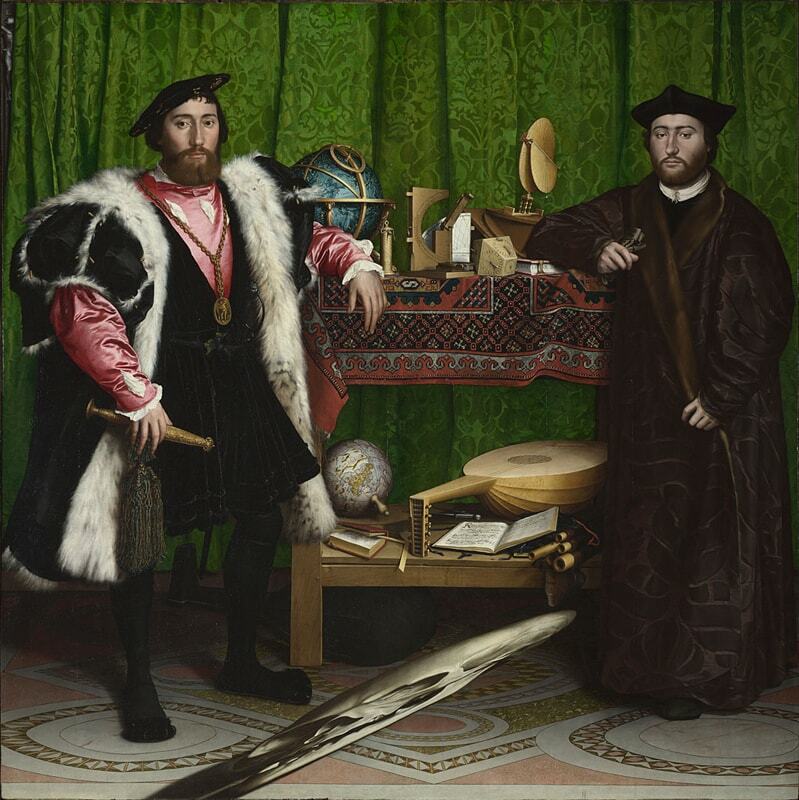 The luxurious details and patterns in The Ambassadors (1533) serve as distractions from a curious object in the foreground; an elongated skull. The object is a memento mori—a common Christian practice in which an object evocative of death is always present. According to The National Gallery, the skull’s distortion corrects itself when the painting is viewed from the right. The murals Michelangelo painted within the Sistine Chapel are a whole lot to take in, so it’s easy to overlook the details woven into complex scenes of heaven and earth, man and God. In The Creation of Adam, an earth-bound Adam touches the hand of God, who hovers over his terrestrial creation on what has been discovered to be an accurate depiction of a human brain. A possible symbol of divine knowledge or perhaps Michelangelo’s belief in science (which the Church rejected), it’s probable that this was no accident—the artist was known to dissect local corpses in his spare time. 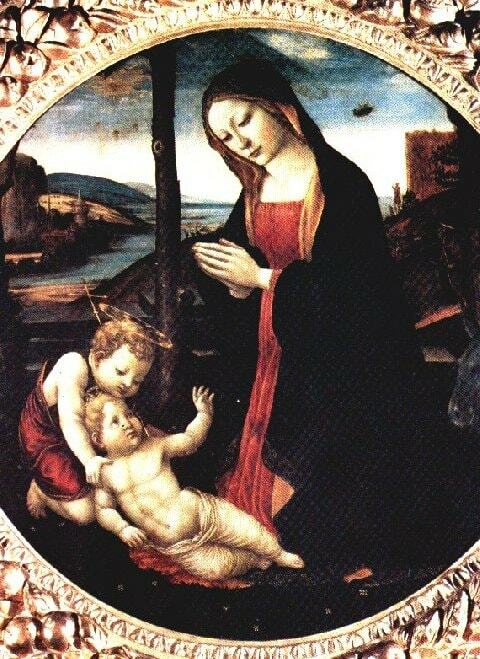 At first glance, Ghirlandaio’s 15th-century Madonna with Saint Giovannino looks like your run-of-the-mill devotional portrait—except for the possible UFO behind her. Mary coos over the baby Jesus as an inexplicable object hovers in the background. Ghirlandaio even painted a man at the foot of a cliff looking at the object to draw attention to its unusual presence. In an era when angels and celestial bodies were often depicted glimmering in the sky, it’s quite possible that Ghirlandaio’s object is of a typical religious nature. But ask an alien theorist, and the portrait is proof that extraterrestrials have been paying us cheeky visits for centuries. 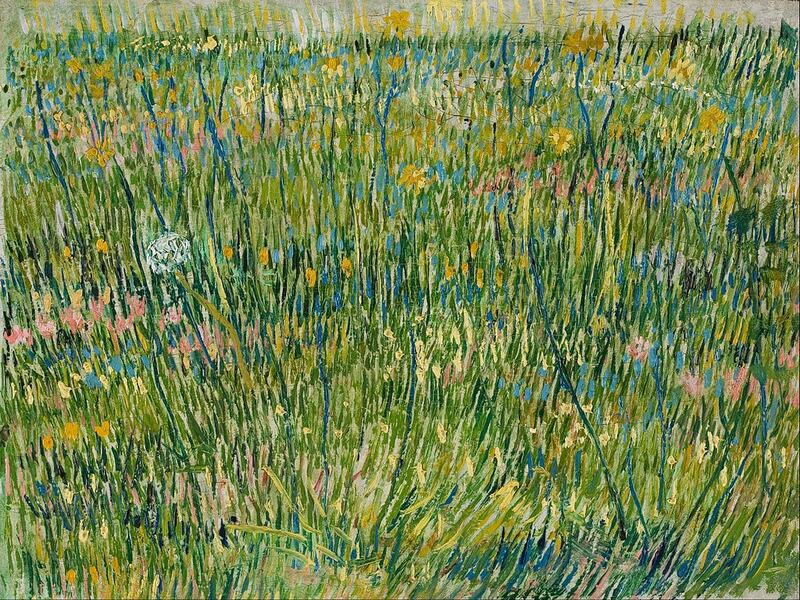 Housed within the Kröller-Müller Museum in the Netherlands, van Gogh’s Patch of Grass (1887) was long believed to conceal another portrait. Researchers had detected the outline of a subject’s head amid the landscape, but it wasn’t until a new x-ray technique called fluorescence spectroscopy was employed at the Delft University of Technology in 2008 that the details of her face emerged. Van Gogh had created a portrait of a peasant woman before painting over the artwork with a pleasant depiction of a lush meadow. It is supposed that approximately a third of the artist’s earlier paintings hide secret compositions beneath them. Want more arty inspiration? Check out the one artwork you have to see in these bucket list cities!